A journeyman for all seasons, Joel Fisk is regularly on the road with a variety of different acts, which showcase his unique skills as a guitarist and singer. He first burst onto the rock and blues scene as a founder member of the award-winning band Hokie Joint. The band became crowd favourites on both the British and European tour circuit and even provided the soundtrack for the 2012 horror movie “Umbrage”, which starred Hellraiser actor Doug Bradley. When the band folded, he and fellow Hokie Joint members JoJo Burgess and Stephen Cutmore rose from the ashes and formed a new group, La Vendore Rogue. The band release their debut CD – Light Up With LaVendore Rogue – in Spring 2016 and will be bringing their alternative, nourish take on the blues to a town near you soon. 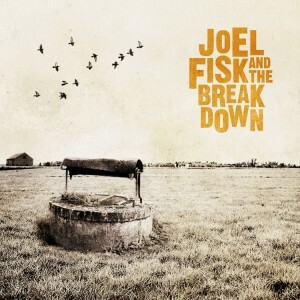 His other band, Joel Fisk & The Breakdown, released their debut album – The Well – in 2015, which topped the IBBA Blues Chart and led to them supporting the likes of Robbie McIntosh, Jo Harman and Ian Siegal. Alongside both groups, Fisk also regularly tours with Jon (The Hoax) Amor in a combo imaginatively titled Joel Fisk & Jon Amor Electro Acoustic Duo. The list of acts Fisk has opened for over the years reads like a veritable who’s who of the rock world, including ZZ Top, Jeff Beck and Moby. Not to mention Nine Below Zero, Paul Weller and Joe Bonamassa. 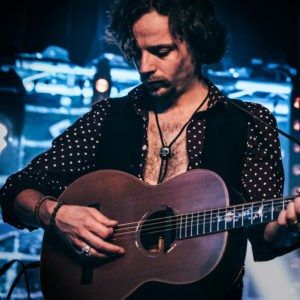 He has also been nominated four times as “Guitarist of the Year” in the British Blues Awards and won the “Favourite Guitarist” category in the Digital Blues Awards, and played such prestigious venues as the 100 Club in London, the Paradiso in Amsterdam and the Cognac Blues Festival in France. 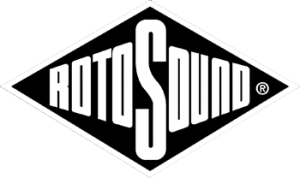 His hard work hasn’t one unnoticed, as in 2012 he signed an endorsement deal with Hofner Guitars and Rotosound Strings. Like all the greatest blues men, Fisk has walked the line and learned his trade the old-fashioned way, night after night and gig after gig. And the truth is he’s only just getting started. Watch out world, Joel Fisk is coming for you and he’s not going to take no for an answer.